Josh and I wanted to celebrate our third anniversary with a quiet getaway. When you're constantly on the road, the idea of wanting to escape might seem silly, but it's remarkably refreshing to disconnect from work and reconnect with each other. Being in Arizona, we wanted to explore some place new to us, so I began my research. My only other experiences with hot springs had been accompanied by a sulfuric smell. Not so romantic. 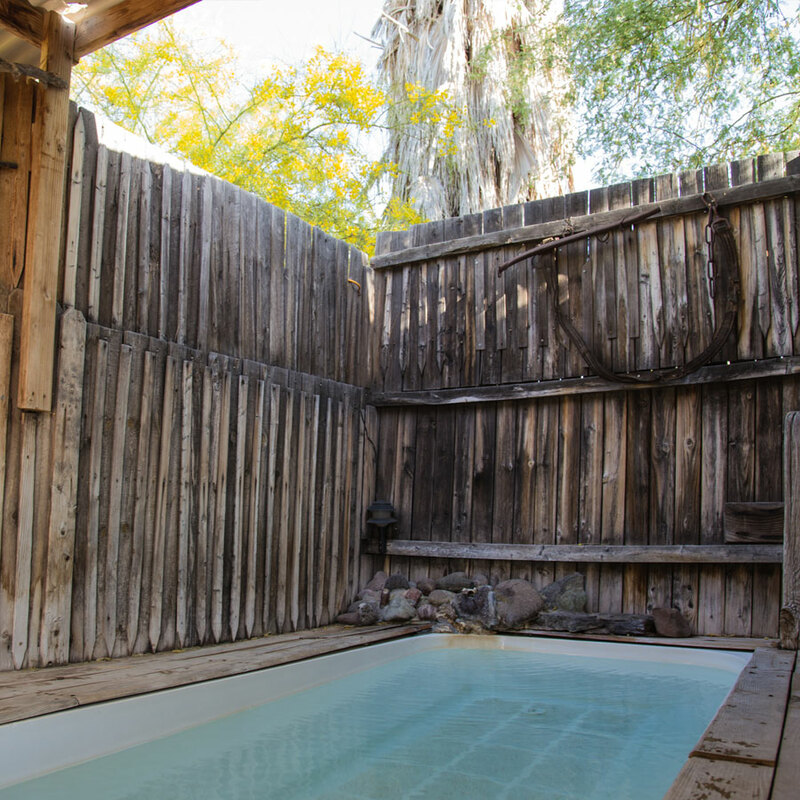 "El Dorado Hot Springs is located above a subterranean hot spring of pure, odorless, tasteless mineral water. The water is naturally heated by Mother Earth to an average of 107 degrees, with a pH of 8.2. Some say that it's like bathing in liquid silk." 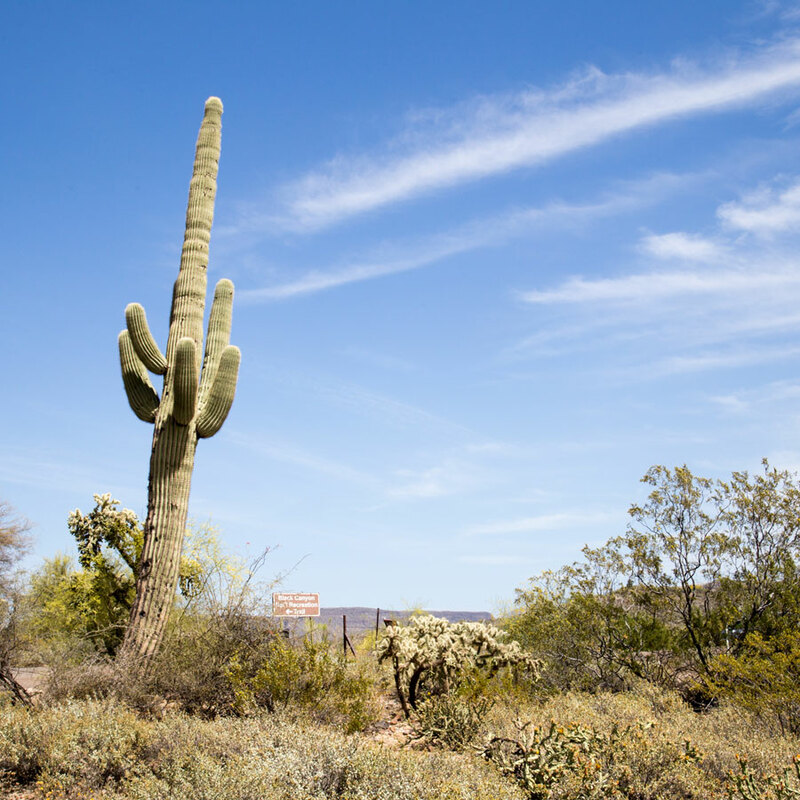 We drove from Flagstaff to Tonopah on a Friday afternoon, going from Ponderosa pines to Saguaro cacti in just a few hours. 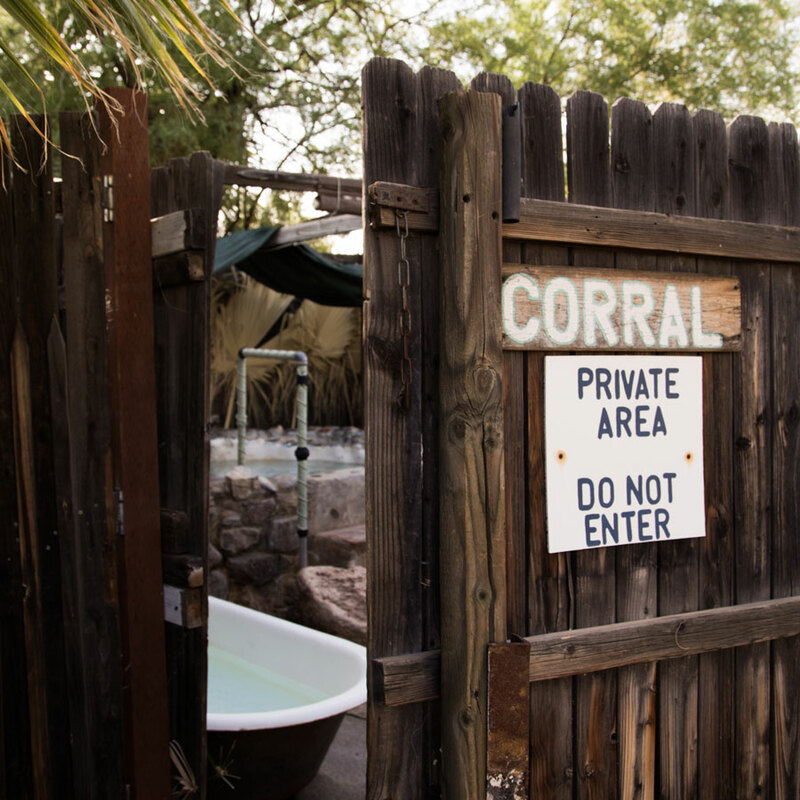 We arrived at the rustic El Dorado Hot Springs at sunset, where we had booked a private room for the evening. 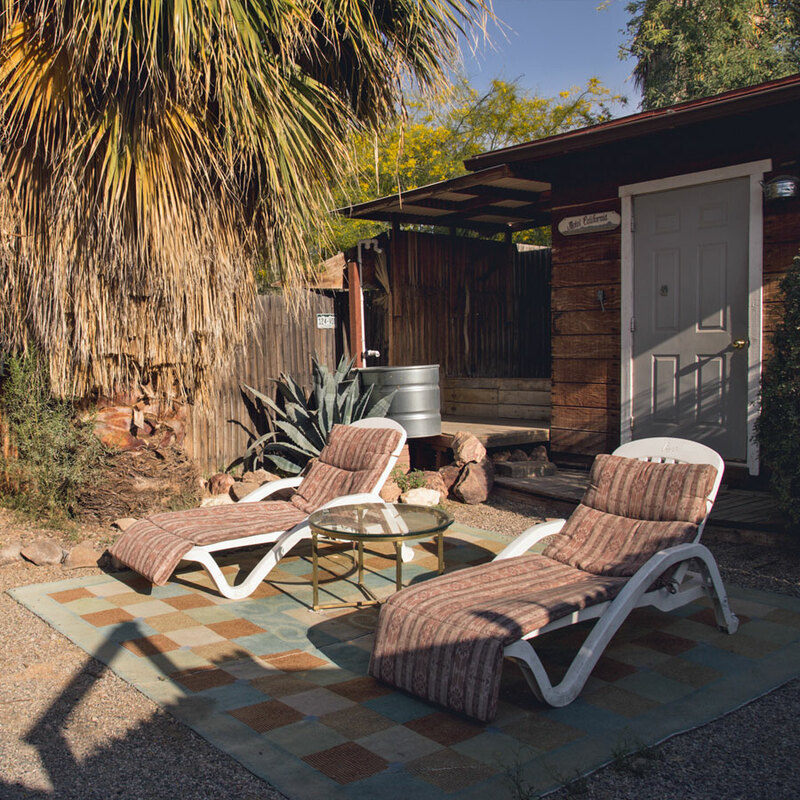 We chose to stay in the Motel California, which has a standalone building that includes a queen bed, kitchenette and bathroom, as well as a fenced in yard with a fire pit, lawn chairs, a soaking tub, rinsing tub and outdoor shower. Our very own soaking tub was plenty large for the both of us, about the size of a hot tub. El Dorado is pet-friendly, so we left Bo to patrol the rig and brought Gabby with us. She hates water but accidentally dove right into the hot spring when we first arrived. She wasn't happy with being wet, but we loved how soft her coat was once she dried out. As advertised, the water left our skin feeling silky and clean. Whenever the temperature would cool off, all we had to do was push some of the water out of the tub drain, and fresh hot water would take its place automatically. For guests who don't have their own private tubs, there are other private and public soaking options. 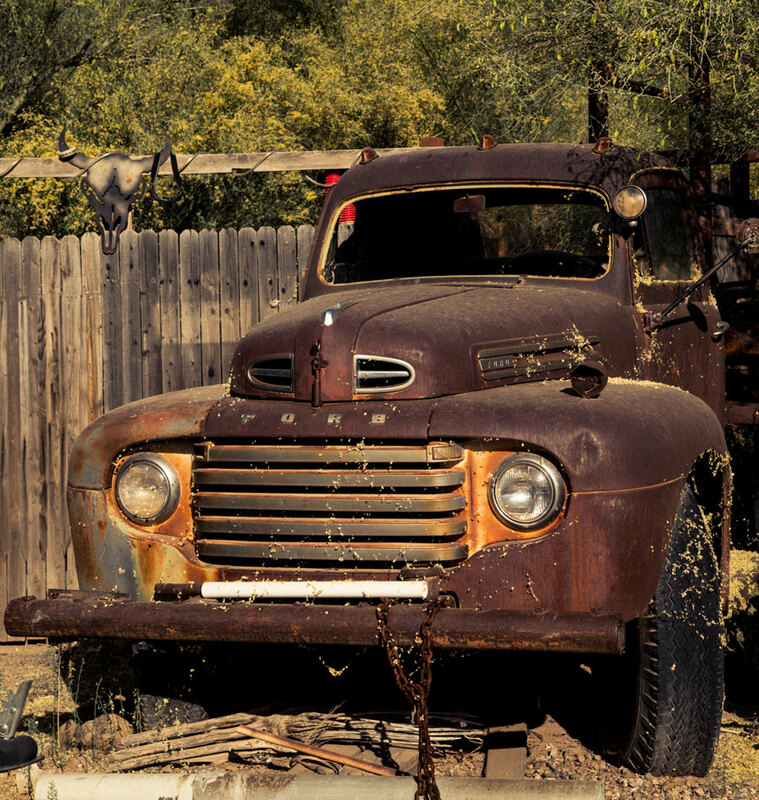 When our fingers and toes became too pruned to soak anymore, we explored the rest of the rustic setting, which included vintage signs and vehicles. 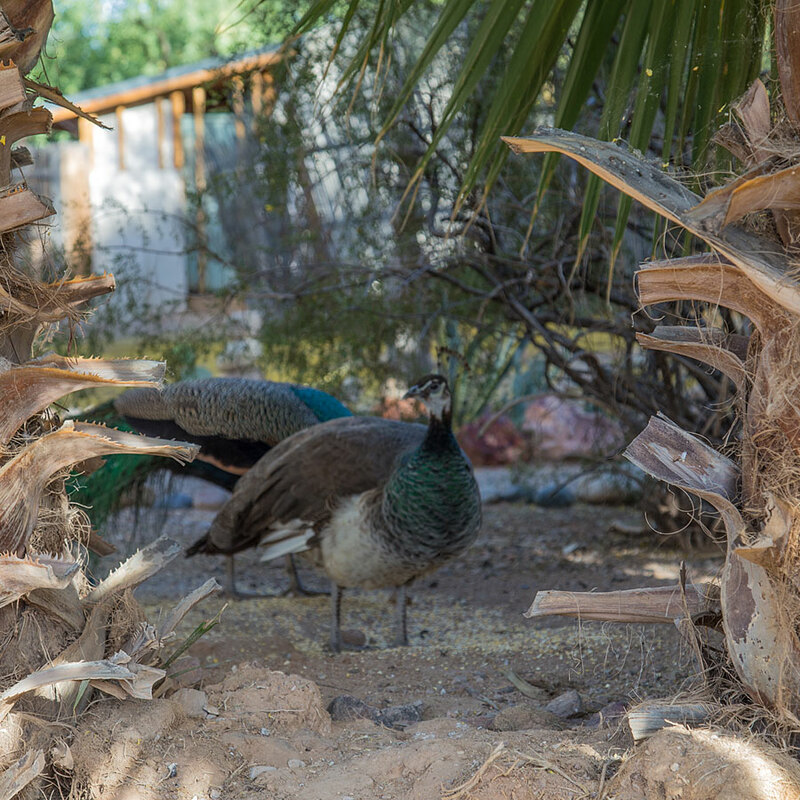 El Dorado was also home to an informal menagerie, including peacocks, chickens, a turkey and a cat. 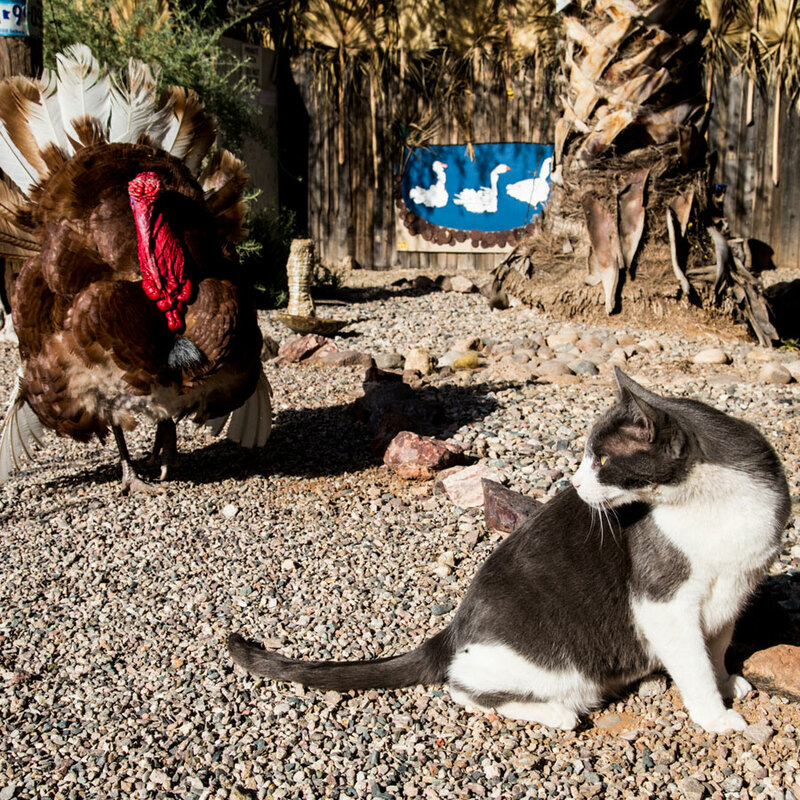 The turkey was a true character, enjoing chasing after the cat and women's feet. We had a great time at El Dorado Hot Springs. The water was perfect, and the setting was beautiful. We left as relaxed as we had hoped. If you're looking for pampered luxury, this isn't the place for you. 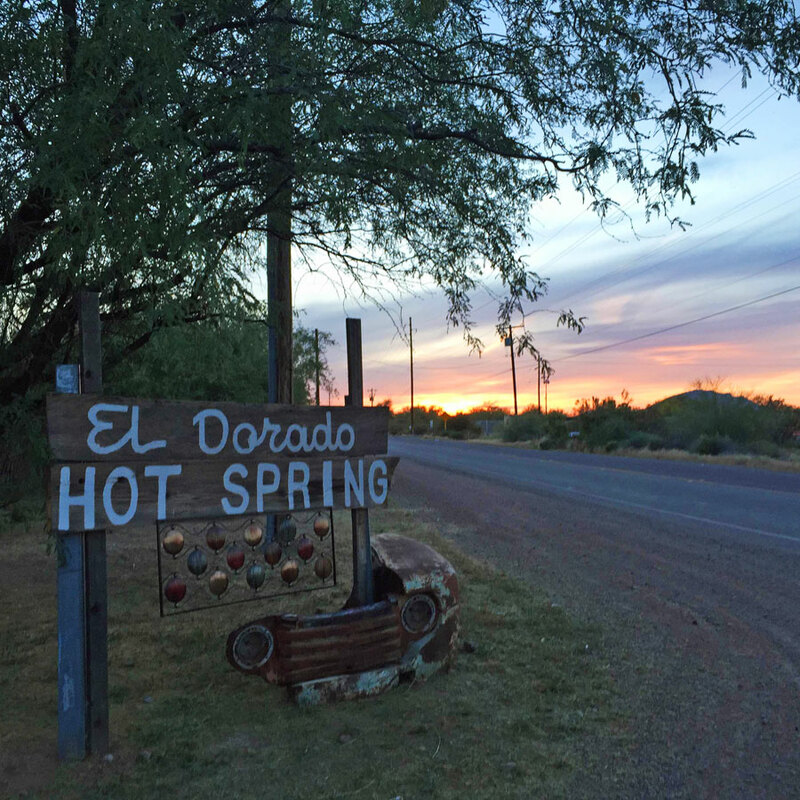 But if you enjoy rustic, quiet places to rest, give El Dorado a try when you're near Phoenix. What's the best hot springs you have visited on your travels?